Dr. Walter Salubro, Chiropractor in Maple, Ontario, reviews the Posture Medic Brace and demonstrates how to wear it. 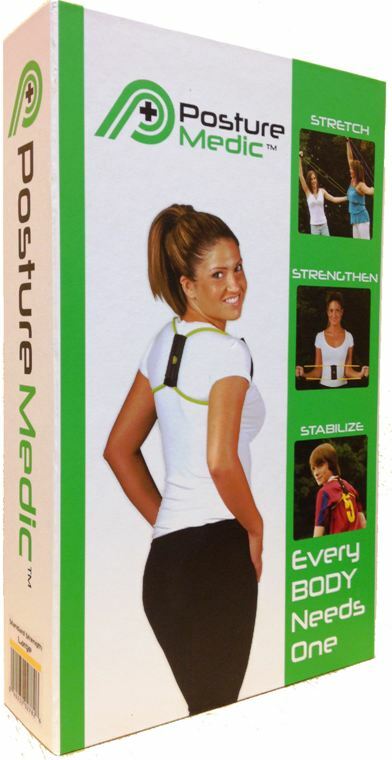 The Posture Medic brace is a nice, effective and easy-to-use posture correcting brace that prevents slouching. Do you carry your head forward past your shoulders? Is one shoulder lower then the other? Is your upper back rounded? Do you have a hump at the top of your back? Does your pelvis (hips) shift forward? Bad posture can cause shifts on your spinal bones, pressure on your nerves and discs and tension on your muscles. Correcting your computer station/desk for optimum ergonomics. Avoid flexing or bending your neck when you text or use your smart phone or tablet devices. Sleeping with a good pillow. Wearing a posture correcting brace like the Posture Medic brace (see Video 1 and Video 2 below). I really like the Posture Medic brace and have recommended it to many of my patients. It’s actually a great compliment to my patient’s chiropractic care. The Posture Medic brace was originally called the Posture Perfector. It’s the same great product, just with a different name. The Posture Medic brace comes with a pamphlet that gives you easy-to-follow instructions for use and posture exercise suggestions. The Posture Medic comes in different sizes so it can give the right amount of posture correction for your specific body type and size. 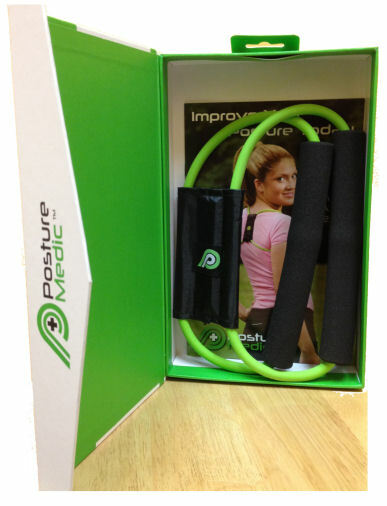 If you would like more information about the Posture Medic brace, call our office at (905) 303-1009. Watch Video 1 and Video 2 below to see how the Posture Medic works and how easy it is to wear. Looking For A Chiropractor In Maple, Ontario? Call (905) 303-1009. Back pain? Neck pain? Headaches? Thinking about seeing a chiropractor? 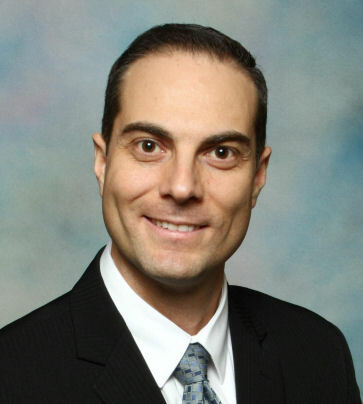 Here are some FAQs answered by Dr. Walter Salubro, chiropractor in Maple, Ontario. 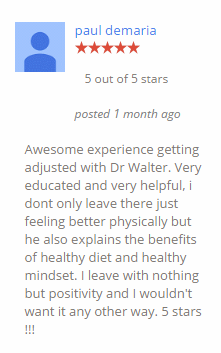 Dr. Walter’s answer: Chiropractors have helped many people with low back pain. In most cases, if you have had back pain for many years, chiropractic care is certainly a health care option for you. There are many causes of low back pain. A spinal exam by the chiropractor can help determine if the cause of your back pain is of spinal origin and if it can treated or corrected with chiropractic care. Dr. Walter’s answer: The joints of the upper neck (at the base of the skull) give a lot of information to the brain about your body’s position in space, especially while you are standing. A structural problem with the spine, especially in the upper neck can trigger symptoms of dizziness or loss of balance. A chiropractor will do a thorough spinal exam and assess the neck for any shifts or misalignments to determine if the dizziness comes from the neck region. If it does, the chiropractor will suggest a course of treatment that addresses correcting the underlying spinal problem contributing to the vertigo as well as the neck pain. If you have neck pain, back pain or headaches, find out if chiropractic care is right for you. Visit a chiropractor in your community. If you are in Maple or Vaughan Ontario, give us a call or come visit us. We can help determine what’s causing your pain and if you are a good candidate for chiropractic care. Posted in Chiropractic | Comments Off on Looking For A Chiropractor In Maple, Ontario? Call (905) 303-1009. Pregnancy And Low Back Pain…Can Chiropractic Help? Chiropractic care during pregnancy is gentle and safe. Recently I had a woman in her 9th month of pregnancy come into our office looking for information about how chiropractic can help with her low back pain. In just 3 chiropractic visits, she started experiencing less back pain, was walking easier and had improved sleep. Chiropractors have been providing gentle chiropractic care for pregnant women for decades. Yet, not many woman realize the benefits of chiropractic care during pregnancy. Posted in Chiropractic & Pregnancy | Comments Off on Pregnancy And Low Back Pain…Can Chiropractic Help?